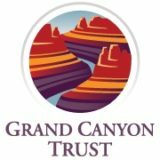 Grand Canyon Trust seeks to protect and restore the Colorado Plateau—its spectacular landscapes, flowing rivers, clean air, diversity of plants and animals, and areas of beauty and solitude. The 20-year ban on new uranium mines around the Grand Canyon is in danger of being overturned by the current administration. Urge decision-makers to uphold the ban and protect the Grand Canyon. Developments around the Grand Canyon threaten to irreparably damage this magnificent place. Please sign the petition to voice your opposition to these destructive developments.